Research-validated online assessment with a 20-page workplace-specific profile to help people identify and explore the priorities that drive them. Participants understand and appreciate the styles of the people they work with. The result is more effective and productive working relationships. 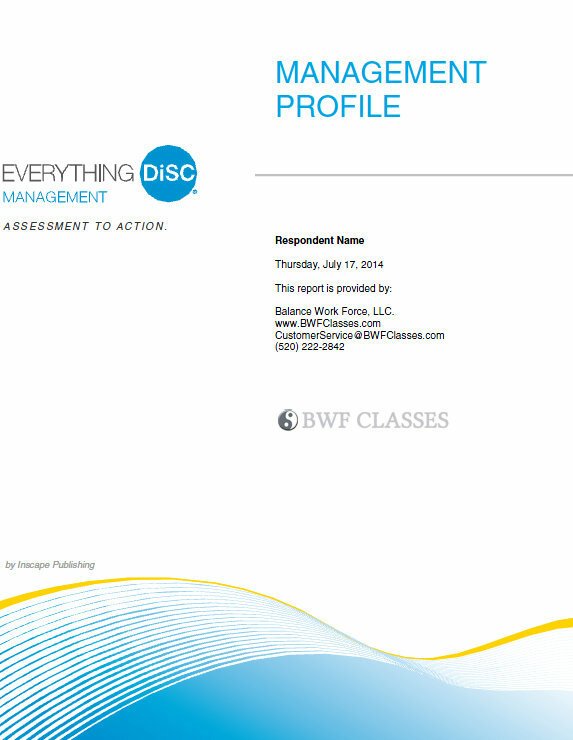 Your DiSC Management Assessment focuses on: Managers learning about their own management preferences. Teaching employees how to work with their own manager by providing insights for understanding their manager’s priorities and preferences. The report also provides information on dealing with conflict with their manager. 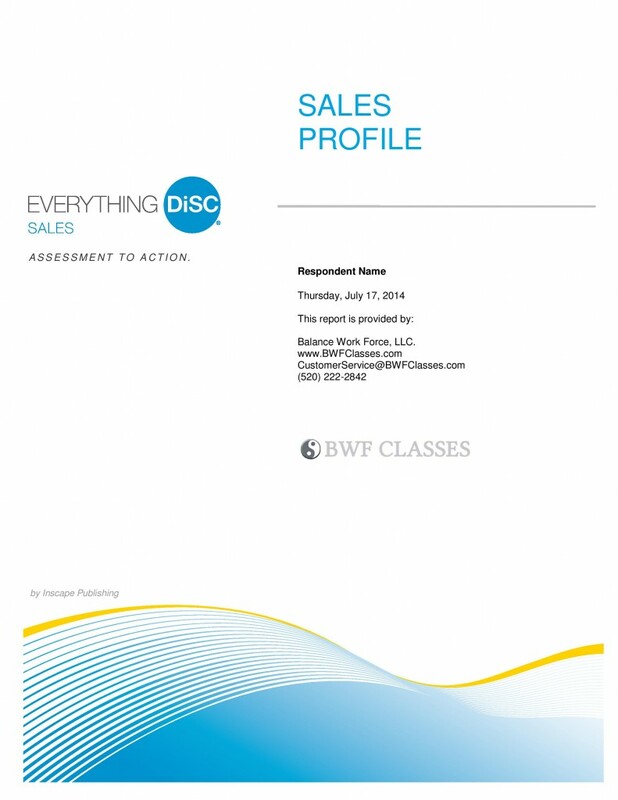 The DiSC Sales Profile is a research-validated online DiSC assessment and sales-specific 22-page report. Help salespeople learn to communicate better and improve their sales relationships by: Understanding their DiSC sales style Identifying and understanding their customer’s DiSC buying styles Adapting their DiSC sales style to meet their customer’s needs. In your DiSC Work of Leaders Profile Assessment, you will discover your Leadership Style and Priorities. All New Profile- Work of Leaders: 23-page highly personalized report 18 behavioral continua Strong visuals illustrate key messages Context-specific feedback Tips and strategies for improving leadership effectiveness Two-part assessment DiSC Work of Leaders approaches leadership as a one-to-many relationship, as opposed to the one-to-one relationship explored in DiSC Management. 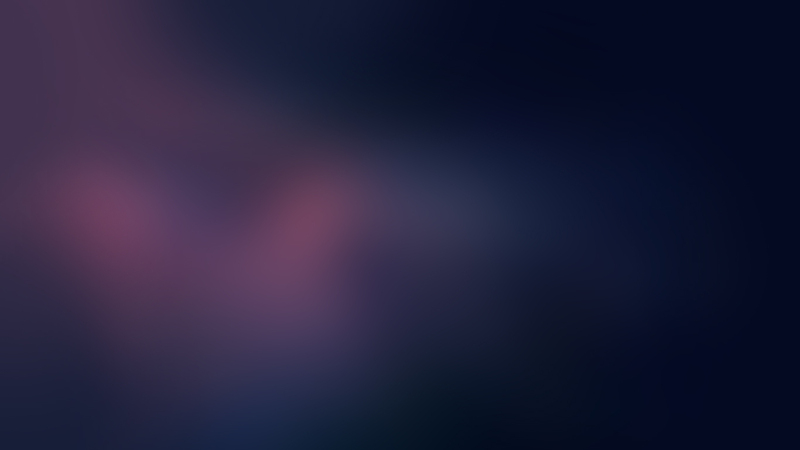 It focuses on tangible steps directed at leading a group or organization toward desired outcomes. Using the framework of Vision, Alignment, and Execution, Work of Leaders encourages leaders to understand their own leadership behaviors and how they impact their effectiveness. 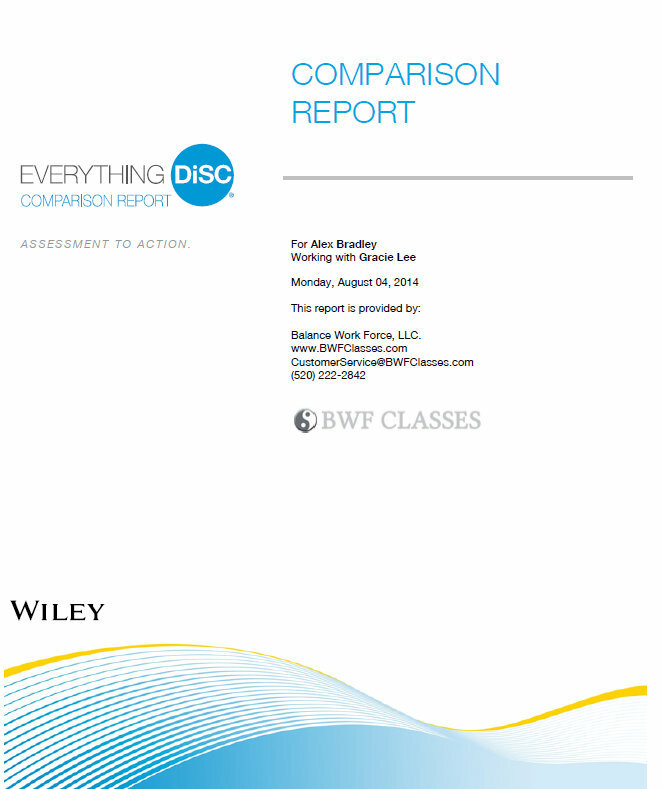 The report provides a composite of your group’s DiSC styles and information on how DiSC styles can impact your organization’s culture. The report allows you to determine a group’s DiSC culture easily, explore its advantages and disadvantages, discuss its effect on group members, and examine its influence on decision making and risk taking. The DiSC® Group Culture Report lets you build customized group reports using data from any Everything DiSC Application Library report. DiSC Workplace DiSC Management DiSC Sales The DiSC Group Culture Report does not include participant names. 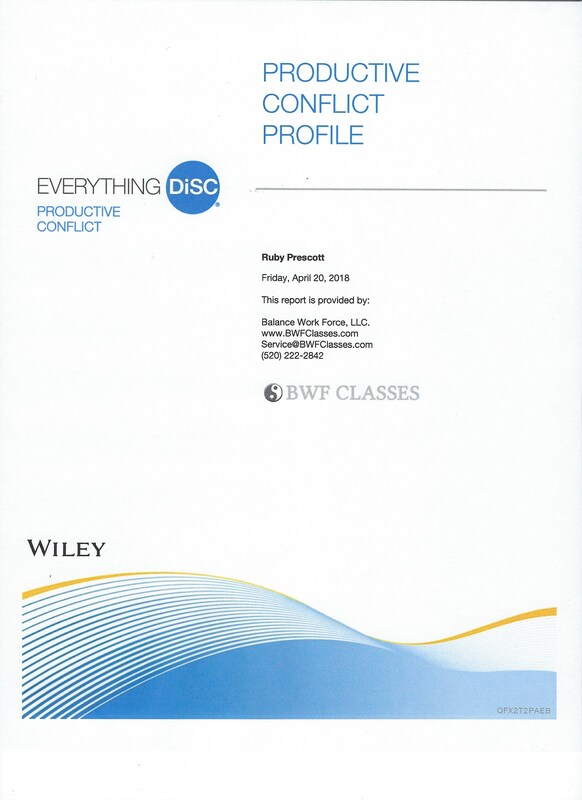 The DiSC Group Culture Report may be used across all DiSC Application Library programs. Ideal for pre-session planning to help craft strategies for working with specific groups and individuals. A composite of a group’s DiSC styles, including the names and styles of each participant, and graphics that illustrate at-a-glance the distribution of styles within the group suggest ways to customize the delivery of the material or plan for breakout sessions to get the most out of the program. Ideal for individual coaching or small group work. 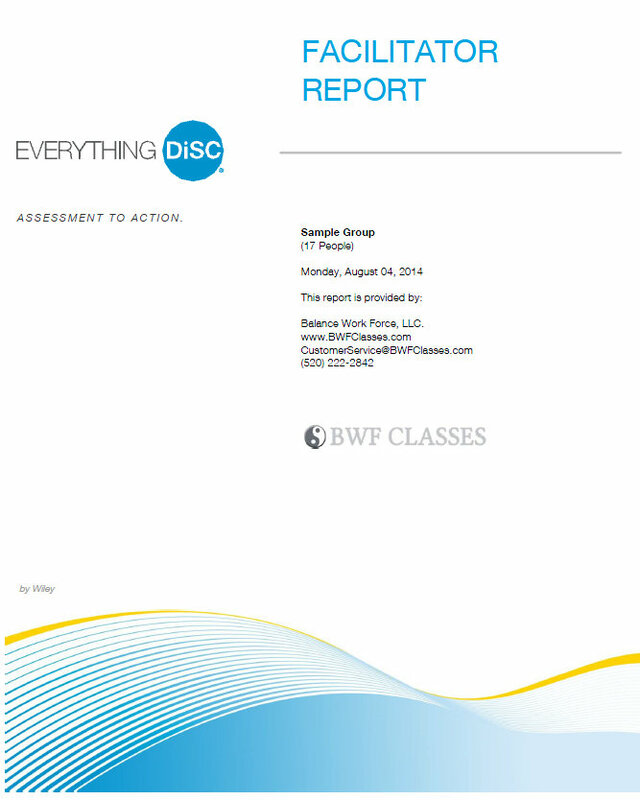 Insightful and robust 10-page research-validated reports can be created for any two participants—even people who have taken different Everything DiSC® profiles, such as a Manager and a direct report who completed Everything DiSC® Workplace. Reports illustrate their similarities and differences, potential roadblocks in working together, and practical tips for improving working relationships between colleagues. Unlimited access with all Everything DiSC profiles— at no additional charge.